Thank you Joseph for all the arrangements made. We had a fantistic cruise in your Houseboat. Food was very tasty and crew members were very co-operative. 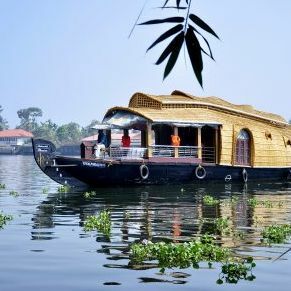 We will probably book again..
We booked 3 Nights/ 4 Days houseboat package with Kerala House Boat. The trip was well organized with excellent service. The rooms were very classy and neat. The food served was delectable. I would love to visit again and recommend to others as well.